Successfully Added A8L Bluetooth Speaker - 3Watt, 1000mAh Battery, Hand Free, Micro SD Card Slot, Bluetooth 4.0 (Gold) to your Shopping Cart. This Wireless Bluetooth speaker makes it easy to share and listen to music wherever you go, without the hassle of wires. 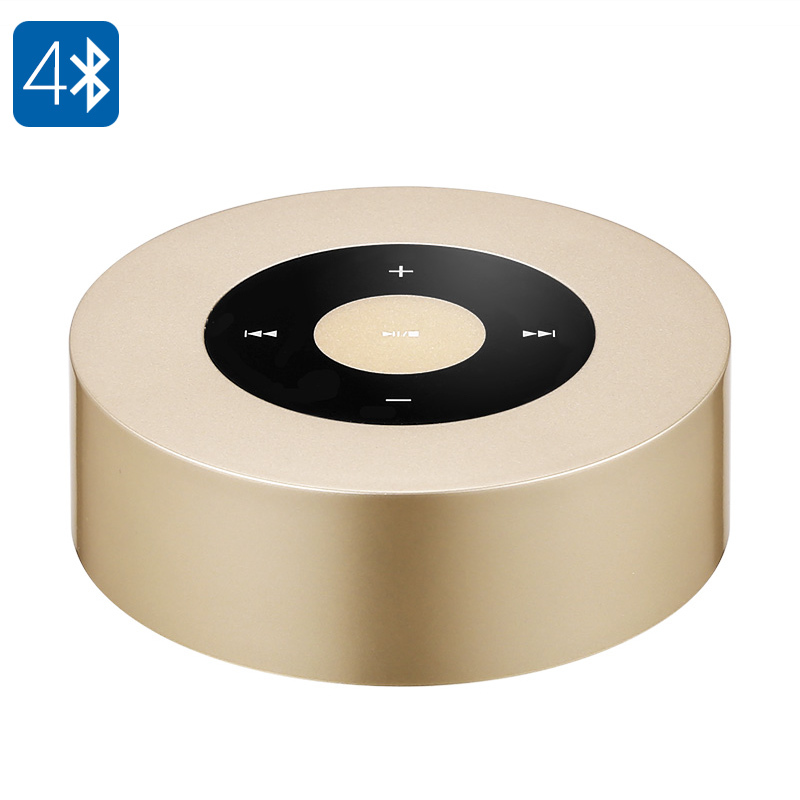 By using the Bluetooth 4.0 connectivity of the speaker you can sync your iOS or Android phone to play music, as well as answer, calls more conveniently. The speaker has a superb finish and is made of an aluminum alloy. This brings great strength and durability but also ensures a nice resonance with the sound. The speaker has a frequency range from 40HZ to 18KHZ and with its 3 Watt output, you can share music in a small room our outdoor area. There is a micro SD card port allowing for up to 32GB of music to be stored directly on the device. Alternatively, you can opt for the wired Aux-in option giving you access to a wide range of musical inputs. This Bluetooth speaker has a built-in microphone so you can use this speaker to take hands-free calls. A 1000mAh rechargeable battery delivers hours of tunes from each and every charge. now you can take the party wherever you go and share your best and favorite tunes with those around you. This 3 Watt Bluetooth speaker, comes with 12 months warranty, brought to you by the leader in electronic devices as well as wholesale wireless speakers and cool gadgets..